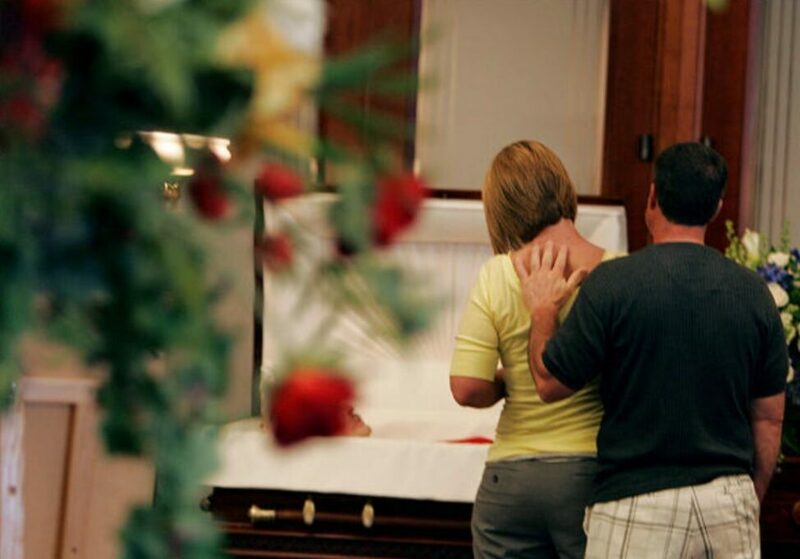 Many families ask us if they can spend time with their loved one before the funeral service. Although this is a very personal decision and can feel quite confronting, it can be very important to help with the grieving process. A ‘viewing’ is the word we use to describe seeing the person who has died and spending one last time with them at some time before the funeral. This usually happens at the funeral home but it can be held at your home if you wish. A viewing is a special time for family and friends to pay their respects to their loved one who is present, dressed for service and presented in their coffin. A viewing is usually a private affair, with family and selected friends who attend. A viewing can be just for you; even if several people are there at the time. If you want some one-on-one time you just need to ask your funeral director for some quiet time alone. Takes place at the funeral home, place of worship, your home, a church or at a different venue. Should children attend a viewing? Sometimes adults are uncertain if children should attend. Our experience tells us that children often cope much better than we expect. They too need to say their goodbyes. Children often like to be able to write a letter or a draw a picture to place in the coffin. Children need to have a clear explanation about what they will see and how the viewing will take place to help them understand what’s going to happen. Does the body need to be embalmed? There is no requirement that the body needs to be embalmed. Be aware that some funeral homes may specify that the body be embalmed if a viewing is to take place. This is an additional cost. If you do not want the body to be embalmed, consider finding a funeral home that does not require embalming in the event of a viewing. Do funeral homes charge more for a viewing? If you are planning a viewing at a funeral home, the funeral home may charge you for use of the facility and room setup or decoration, as well as the time of any funeral home staff who may be helping. Some funeral homes will charge by the day while others will charge by the hour. If you are planning a viewing at a location other than the funeral home, the funeral home may charge you for setup and transportation services. So it pays to shop around and compare fees charged by funeral homes in your area.